In the coastal areas of Izu and Suruga, when fish gather together just below the surface of the ocean, so that the face of the ocean rises and creates a wave, they call this a nabura or nagura. It is a fisherman's word. In Kumano, too, they say shiyonabura. Written in characters, the meaning is 潮魚群 ("tide - fish - group"). The nabura part is 魚群 ("fish - group"), the same as the [Izu/Suruga] word nabura. Hino and Saitō's Dictionary of Kanagawa Dialect 神奈川県方言辞典 confirms nagura and nabura (also napura) with the meaning "group of fish," but no namura. The dictionary gives Sagami Bay as the word's stomping grounds, but notes that it can be found from Iwate to Wakayama and Mie — most of Japan's pacific coastline. The Nihon Kokugo Daijiten extends this range down as far as Shikoku and even Kyushu, but, interestingly, nowhere on the Sea of Japan side. They also support the etymology /na/ "fish" + /bura/ "group". /na/ for fish makes sense; the meaning of that word is limited to greens and vegetables today, but back in the day it seems to have meant a non-grain side dish in general, including fish. Thus sakana, the modern word for "fish," presumably means "na to be consumed with sake." The latter half of the word is clearly cognate with mure "group", mura "village," etc., just as Yanagizawa's kanji 群 suggests. Alternation between /m/ and /b/ is relatively common in Japanese: OJ abu is the ancestor of contemporary abiru "bathe", and sabisi split into samishii and sabishii. But I can't recall another case where /g/ entered the picture; I wonder if nagura comes from confusion with the nagori word family. Nagori ultimately derives from OJ /nami/ "wave" + /nokori/ "remain" but in standard Japanese has since broadened to mean "remains, trace, vestige," in general. 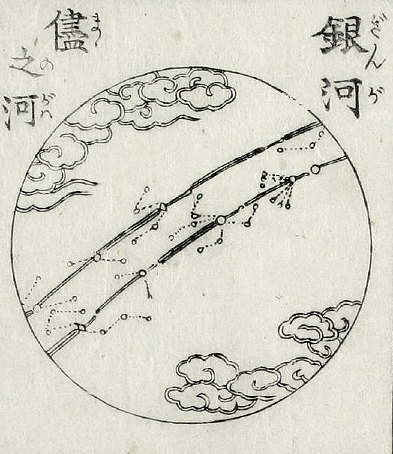 However, nagoro, another descendent, retained the the narrower meaning of "waves remaining after some wave-causing event (wind, a boat's passage) has ended" well into the second millennium, and this in turn seems to have been the source for a whole range of related dialectical forms listed by the Nihon Kokugo Daijiten for regions up and down the Pacific coast: nagura, nagera, nabura and namura. It's easy to imagine how a word describing all kinds of watery motion, from post-wind ripples to straight-up wakes, could be confused with a word describing a whole lot of fish moving together to create unusual waves, and looking at nabura_rc and namura in the nagoro list, it looks like the influence might have gone the other way too. Who would know [what comes] after death should look at [what comes] before birth. Day and night are life and death. Waking and sleeping are life and death. Inhaling and exhaling are life and death. Nothingness: it arises not from nothing, but from something. Death: one dies not in death, but in life. Really I wanted to just say "Nothingness arises not from nothing," but then I would have had to say "Deaths are died not in death" or something equally horrible to maintain the parallelism. While visiting Asamushi Onsen in Aomori, Ibuse Masuji was asked by a local what people in Tokyo thought the title of Dazai Osamu's short story "Dasu Gemeine" meant. When Ibuse replied that he understood it was German for "common" or "mean", he was surprised when the local "said, quite taken aback, 'It's German?' It seems that in Tsugaru dialect, although the voicing of the consonants is a bit different, Ndasuke maine means 'That's why it's no good' or 'That's why I don't like it.' Dazai Osamu had never explained this to me." [Ibuse, Kaisetsu.] Observing that Dazai Osamu himself, in "On 'Dasu Gemeine'", also states quite clearly that he got the title "after reading — no, being made to read — Professor Koeber's 'On Schiller'", it is not hard to believe that he never mentioned a Tsugaru dialect connection to Ibuse. Ishikawa further reports that an acquaintance raised in Aomori confirmed that maine was a common word in the Tsugaru dialect that could be translated "no good", but that ndasuke was used in Hachinohe dialect, in the south of the prefecture, and so it was unlikely that Dazai (born and raised in Tsugaru) would combine the two like that. Nevertheless, the story is still doing the rounds.